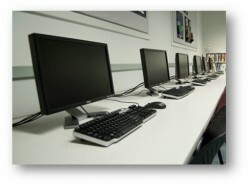 With more than 60 dedicated personal computers available for students, DMI provides a strong platform for students to excel in technology-driven learning. Students are encouraged to learn the latest in statistical analysis and other management-oriented technologies with their laptop computers in the classroom. The campus is equipped with high speed internet connection.